Offering Breed standard cuts, whimsical styles and everything in between for the pampered pooch. At Masterpiece, we believe that your best friend deserves a luxury spa experience too. Whether it’s a freshen up session after a day of play at their favorite doggy daycare or a stylish coiffure of the latest fashion, we can help. Our stylists are specialists in canine behavior, with the patience and experience to make your dog’s spa day a great one. At Masterpiece, we strive to provide absolutely top notch customer service and communication. We offer a low stress, cage-free environment, providing individualized personal service that treats every pet like a family member. When you come into Masterpiece, you will notice right away that we are not like other salons. Our facility is designed to give both the pet and pet owner and unforgettable experience. Our clients are greeted with refreshments while a free consultation is made before any service starts. Clients are given valuable pet styling advice and the right options for your dog’s hair style. Our stylists will help determine the proper shampoos, conditioners, and hair treatments needed to restore your pets coat to it’s full beauty and health. We keep a quiet, mellow atmosphere that promotes calm and positive behaviors; even from pets who generally don’t enjoy grooming. How do we manage this? We work one-on-one with each pet, no dog is left waiting in a cage. Each stylist only works on one family’s pet at a time. Offering Breed standard cuts, whimsical styles and everything in between for the pampered pooch. 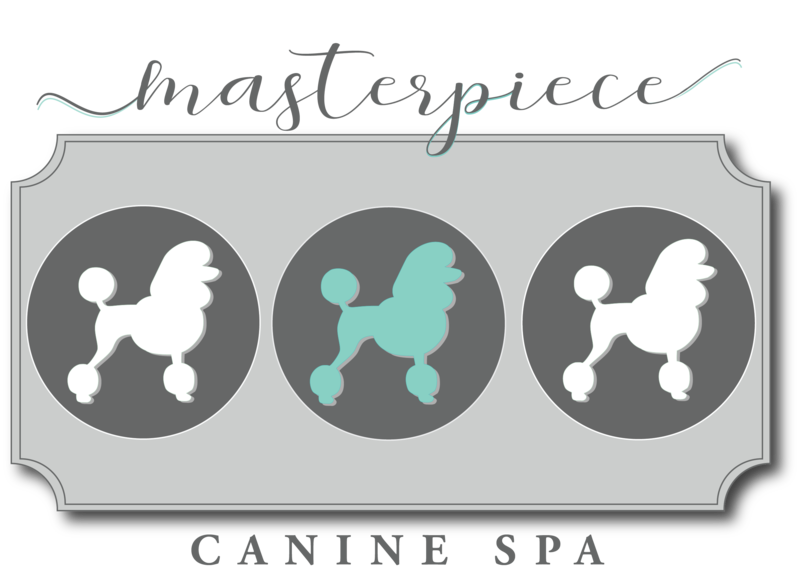 At Masterpiece, we believe that your best friend deserves a luxury spa experience too.